Early spring can be one of the best times of the year. The snow is melting, the grass and trees are turning green again, flowers are starting to bloom. Outside, the temperatures are warming up but aren’t uncomfortable and the nights are nice and cool. While we all wish it could stay like this forever, we know it won’t last. Soon enough, there will be days where we sweat from morning until night and we can’t wait until we can get inside and enjoy the modern miracle of efficient, reliable air conditioning. What happens if the warmth of summer hits and you haven’t checked or tested your air conditioner to make sure that it is ready for months of continuous service? While you might get lucky, you might not. 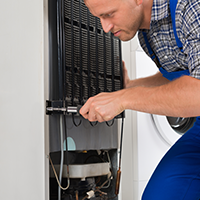 The beginning of summer is always the busiest for all air conditioning installers and repair companies, so you might be waiting for a while before someone can come out and check on it. This is one of the many reasons that Tom Schaefer Plumbing, Heating, & Cooling in Eastlake recommends giving us a call before you need to use your air conditioner. Read on to learn more about our AC tuneups, or give us a call if you want to stay ahead of the heat! 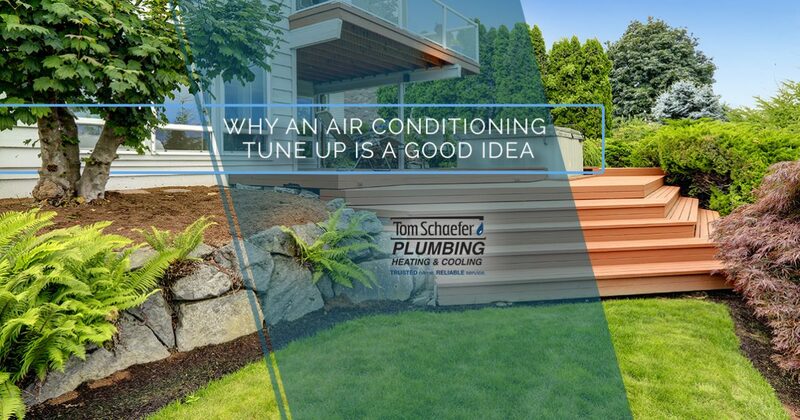 Like most things, having your air conditioner checked by the cooling and HVAC experts at Tom Schaefer means that you will have more time to plan for the worst case scenario. 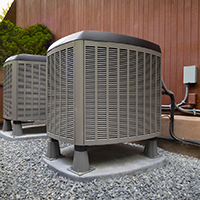 Over the winter, it isn’t uncommon for your outdoor AC unit to suffer some sort of damage. Whether it is caused by the extreme temperatures, heavy precipitation, or falling debris, doesn’t really matter. What is important is having the time to find a great deal on a new unit, as well as having it installed. We can help you do all of that at Tom Schaefer. The earlier that you call and schedule a service appointment, the sooner we can address any problems! As we mentioned above, once the first really hot day hits, we, and every other AC service and repair company, will be slammed with calls. While we wish we could take care of everyone in one day, it just isn’t possible, especially with the high standards we hold ourselves to. In order to avoid the rush, call us sooner rather than later. At Tom Schaefer Plumbing, Heating & Cooling, we are always here to help you keep your home or business comfortable. 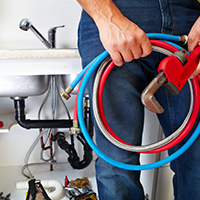 When you are having problems with your plumbing or your HVAC, contact us right away. All of our employees are highly trained and have the experience that makes it possible for them to quickly and accurately diagnose and solve the problem. Find out more information about all of our services on our website, or give us a call today. We also have 24-hour a day emergency services available. With more than 80 years in the business, there is no one you can trust more than Tom Schaefer!